"As an election administrator in the nation's largest battleground state, my fellow SOE's and I are highly cognizant of the ongoing and evolving threats to elections security. Supervisors of Elections throughout Florida have been working extensively for some time with our state and Federal partners, including the Department of Homeland Security (DHS). DHS has been invaluable in assisting myself and my team in preparing for and ensuring response to a myriad of threats. Pasco County has modeled our approach and focus on Prevention, Mitigation and Response to both physical and cyber threats. Currently, there is no indication that Pasco County systems have been penetrated. If the voter registration system becomes unavailable on Election Day, all polling locations are issued a paper backup precinct register. If a voter's eligibility cannot be determined at the polls, provisional ballots are available to ensure that every voter can cast a ballot on Election Day. We will continue to be hyper vigilant to these real and emerging threats. Please know that we are ready to respond." 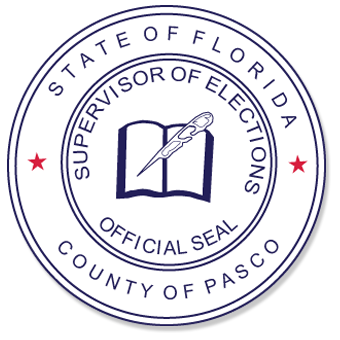 The Florida State Association of Supervisors of Elections also released a statement which can be viewed from the homepage of https://www.pascovotes.com.